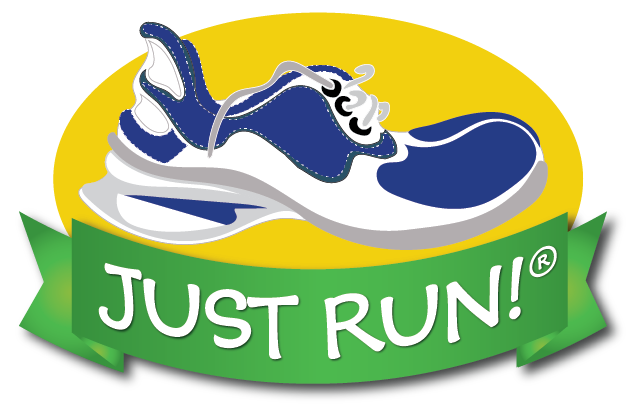 JUST RUN is proud to offer the following links to other websites dedicated to youth running and fitness, nutrition, obesity prevention, and much more. To access the links, click on the category of interest shown below. Adaptive P.E. Information This website has a tremendous amount of information on how to handle children with special needs. Activities, etc. Coach's Asthma Clipboard Program The Coach's Asthma Clipboard Program (CACP) was launched in January 2006 in Minnesota and Utah and quickly spread to other states. There is a 30-minute educational program available online that encourages those involved in Youth Sports to understand how to help athletes properly manage asthma during athletic events. The program uses Flash Media 8 and teaches medication management, ways to prevent exercise-induced asthma, steps to take when an athlete is having an asthma attack, and many other important subjects. Girls on the Run Great website for information Youth Running - with advice specifically aimed at young girls. Go Girl Go national life / athletic program A nationwide curriculum program based on testimonials and stories of world-class female athletes comments on important young women's issues. Women's Sports Foundation The homepage of the Women's Sports Foundation with sports and fitness information for women and girls. Fitness and Health Site for Girls Government website specifically aimed at fitness and health and lifestyle tips for girls. Women's and Girls Physical Activity A website from the Melpomene Organization dedicated to promoting physical activity of girls and women. The California Food Guide (CFG): Fulfilling the Dietary Guidelines for Americans A nutrition training manual. Each chapter is available in PDF format. There are new chapters and expanded chapters on everything you would want to teach your class or JUST RUN group: food groups, lifecycle dietary recommendations, ethnic dietary issues, body weight, physical activity, and many others. Harvest of the Month nutrition and food information A wonderful and comprehensive website on healthy food and nutrition. Special sections for teachers and monthly curriculum advice are included. We recommend this one! Nutrition and Food Values Information on Nutrition and food values - interactive calculator for determining nutrition in your own food. Information about Fruits and Vegetables The website for the Five a Day program. Promoting 5 to 9 servings of Fruits and Vegetables per day. No Junk Food A website created to provide knowledge and alternatives to Junk Food. School fundraising alternatives using healthy food rather than cookies and cakes, etc. The Food Trust Organization The Food Trust confronts the epidemic of childhood obesity. The mission is affordable and nutritious food, increase access to nutritious food and being an advocate for better public policy. National Farm to School Connects schools to local farms. School-based gardens for nutritious food. Improving student nutrition in the schools. Kitchen Kids - Nutrition Resources & Information Very useful link with many other links to nutrition information, teacher material and lessons, and resources that kids will find useful and educational. Smart Snack Information and Calculator Take the guesswork out of nutrition guidelines with the new Alliance Product Calculator for Smart Snacks! WE CAN Program Increasing physical activity is the primary goal of the National Institute of Health's WE CAN! (Way to Enhance Children's Activity and Nutrition), a science-based national education program to help children ages 8-13 maintain a healthy weight. We Can! provides tips, evidence-based curricula and other resources for parents and community programs to help children and their families make better food choices, increase physical activity, and reduce recreational screen time. More information is available at the toll-free number 866-359-3226. State of Florida Health Insurance for Kids Information Florida information on health plan and insurance for children. Many links for evaluation and medical studies as well. Presidents Fitness Challenge The Presidents fitness challenge website. A series of programs and activities are suggested that you can do. Also health and fitness and diet information. International Walk to School An international program to support healthy children and safety by encouraging walking to school and community development of safe routes. President's Council on Fitness Website President's Council on Fitness website with information on Health and Fitness. Youth Sports Parenting Mom's Team website with information on Youth sports parenting for parents with children from age 5 to 18. Center for Sports Parenting Website of the National Center for Sports Parenting with advice to all parents regarding youth sports. Davidkatzmd.com: Excellent information for teachers' use Dr. Katz has two superb programs you can download and use in the classroom or with any youth group. 1. Nutrition Dectectives - Teaching kids to make healthy choices. 2. ABC for Fitness - 5 minute activity bursts in the classroom Go to davidkatzmd.com and you can download this very useful information as well as learn about and fight childhood obesity. Childhood Obesity - Health Living & Fitness Begin at Home Informative website with a wealth of information regarding childhood obesity and ways to combat it. Kids Site from the Center for Disease Control on Body and Mind A site for kids on BODY AND MIND sponsored by the Center for Disease Control. Also a teachers section. Kids Website from Medical Experts Medical experts from the Nemours Corporation provide health and fitness information for kids, teens, and parents. Kidnetic.com - Exercise and Health Online This website provides fitness information and health information and even some fitness challenges you can do while online. Child and Youth Health Website from Australia A very complete website on children and youth health issues - with links for different ages. Fitness, health, relevant issues, safety, hot topics of the day. Peaceful Playgrounds Great suggestions for rainy or snow day activities for indoor recess. The Importance of Sports and Physical Education This website is related to the importance of sports and physical education in the health and development of a child. Many informative and useful links are attached. The Center for Children's Running This is a coaching program, not for children, but for adults. It offers direction to teachers, coaches, recreation leaders and parents on how to structure their running programs so that children will get the most out of their running experience and want to continue running. It discusses how to provide a safe, age-appropriate and enriching environment for children, how to keep them motivated, what is healthy for children and what isn't, how to organize kids' runs, and how to keep children coming back for more. There are also a lot of children's running activities you can use in your JUST RUN program. Youth Runner Magazine A magazine for the more serious competitive youth runner.